The company "D.GUTZWILLER SARL" is the founding company of the "GUTZWILLER-GROUP", an independent group of companies belonging to the GUTZWILLER family. The group is based in Lucelle in the French Haut-Rhin department (department number 68). 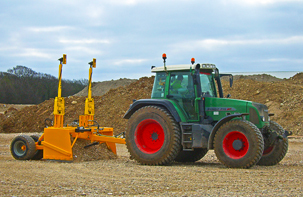 It employs 15 people, its production is primarily concerned with precision levelling equipment, pavement compacting, track repair, soil stabilisation, but it is also specialised in the reselling of stone removal and tree shredding machinery. 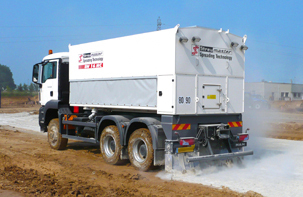 Our binding agent spreaders are used for professional spreading of powdery binding agents for soil stabilisation and cold recycling throughout the world (lime and cement spreaders). 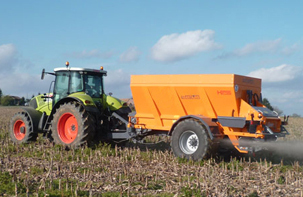 The STREUMASTER agricultural fertilizer spreaders are predestined for bringing out carbonation lime, damp lime, compost and poultry dung. Our range comprises spreaders for granulated and powdery fertilizers as well as sand spreaders for horticulture and landscaping..
Uniting D. Gutzwiller, Streumaster, Panien and Munch allows us to design, develop, and market high quality equipment taking advantage of extensive knowledge and lengthy experience. Each structure offer a range of technically innovative produkts designed for professional clients. All group technicians are trained on our equipment to ensure high quality service.